Question: What do the popular sci-fi television series’ Farscape (1999-2003) and Orphan Black (2013 – ) have in common? Answer: Neither featured in my undergraduate class ‘Science Fiction on Television’, but I can explain – I think. 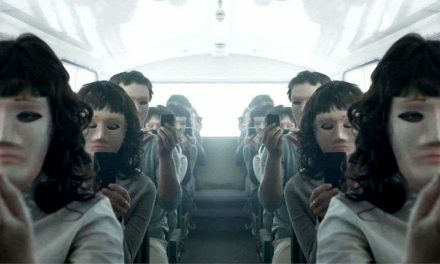 Call it an embarrassment of riches, or symptomatic of the niche-like dynamics of contemporary sci-fi television viewing, their omission (particularly that of Orphan Black) highlights, if not the multiverse of science fiction television, then the multiple approaches to teaching this subject. It is fair to say these two particular examples (I’m not mentioning others) have come back to haunt me, either each time I turn on Netflix, or in the form of at least two student presentations on one or both of these programmes. But this blog/post is not just an act of mea culpa, nor is it, in the words of Csicsery-Ronay, “a work of steampunk criticism” in the face of “the constantly accelerating transformations of our technoscientific (sic) culture” (2008). 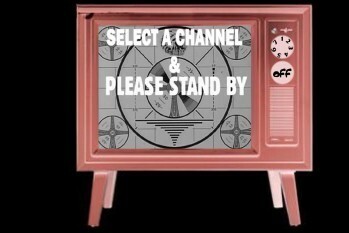 Seriously, what examples would you include in a 3-hour lecture on science fiction television? Both canon and niche sci-fi explain different but equally important dynamics and influences, and both have to be observed and included. The perceived canon largely speaks for itself – The Quatermass Experiment (British SFTV and its evolution), Science Fiction Theatre, Twilight Zone, Star Trek (including select examples from its numerous offspring), Doctor Who (reboot mostly), Battlestar Galactica (reboot), and The X-Files. But even these offer differing perspectives on, and approaches to the genre as re-imagined through television. Niche SFTV however, is by its very nature, a question of taste (wish-list), and involves a certain amount of esoteric knowledge. But even this division is arbitrary when you consider science fiction television and science fiction television fandom (wish-list reboot). 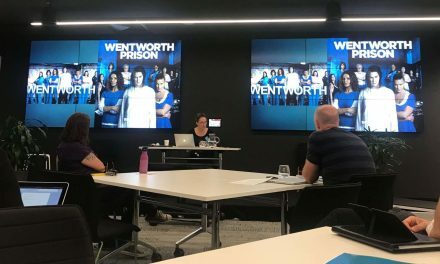 This blog/post reflects on the experience of creating and teaching a third-year undergraduate ‘Science Fiction in Film and Television’ programme – a programme i had to write from scratch. In some ways this process involved a delicate balance between offering ideas of the established canon, and a wish-list, but being the responsible type I always knew that ideas and examples from the canon were always going to take precedence in the teaching and learning experience. Of course, a certain amount of esoteric knowledge (wish-list) was always going to come into the equation, largely because it’s an element that I think serves to differentiate the university learning experience from other formal learning experiences. Further, it was my programme and concept so it was always going to reflect elements of me (wish-list). I am also certain a vast majority of people reading this will have their own ideas (wish-list) of what should be included in a ‘Science Fiction in Film and Television’ course – and quite possibly, what not to be included. This blog/account, therefore, is testing the water, and largely because the scope for ‘Science Fiction on Television’ is huge. The title of this blog/post, Something Impossible, comes from a response by one of my students to the question I put to the class at the very beginning of the programme – Give me your definition of science fiction. “Something impossible” was his response. It was, I thought, an interesting answer, partly because the student in question was Russian (and still is), and therefore his answer potentially reflects the Russian term for science fiction (фантастика – ‘Fantastika’); but also because over the course of the programme this definition kept creeping into my mind, and never more so than when it came to the class on ‘Science Fiction on Television’. Surveying the vast universe of science fiction television, from early space operas, to the early pioneering American anthology series, through to what Lincoln Geraghty observes as the division of the genre into the “cult television series and quality series” (Geraghty 2009), it is clear that any history of television science fiction, is also a history of television development in general, and its exemplar texts need to be considered through a mix of social, cultural, technological, and economical developments. It is worth considering also how other definitions of science fiction in general, which I provided to the class, take on a different life when applied to science fiction on television. For instance, “Science fiction is theology by other means” (Durham-Peters, 2015) drew a puzzled look from most of the students at first, but I was able to elaborate further via The X-Files – ‘I want to believe’. Similarly, the wonderful observation by my former supervisor, Nickianne Moody (LJMU), that science fiction could be understood as a ‘palimpsest’, is entirely understandable if we consider the development of TV science fictions such as Star Trek and its many off-shoots, Doctor Who (reboot), Battlestar Galactica, and many more. However, Something Impossible serves to describe choosing content/examples for a 3-hour class on ‘Science Fiction on Television’; Wish-list, niche, and/or canon? In truth, my criteria for choosing film/TV examples has relied heavily on Vivian Sobchack’s description and definition of what constitutes ‘real’ film or TV science fiction: “A film genre which emphasizes actual, extrapolative, or speculative science… interacting in a social context…” (1987). Extrapolation, the speculative, and of course social context and integration inform my choices, but as Booker points out in his study of Science Fiction Television (2004), by the new millennium science fiction television no-longer sees the need to meet these requirements to extrapolate nor speculate on possible futures. Further, and as Telotte observed back in 2008, “Today, in the major television market area, [it is possible] to watch on a weekly basis as many as twenty-two science fiction series”, and that was before Netflix, Hulu, Syfy, and the CW got into full swing. In other words, even if every science fiction TV series out there, past or present, conformed to the extrapolation/speculative model ( and I would argue, as with Booker, that not all do), esoteric knowledge of all these shows would be something impossible (or fantastika). And where would you begin to place a programme such as ABC’s Lost (wish-list)? Well, I am lost too. For the record, I did include Joss Whedon’s Firefly, mainly for its global/transnational outlook, and AMC/Channel 4’s Humans. I mentioned Sliders, and Continuum, but, with the exception of Jessica Jones, I stayed clear of Marvel Television and Marvel Superheroes (and Heroes for that matter) in general. But I did not, repeat not, include Orphan Black nor Farscape. Kenneth Longden is currently an Associate Lecturer in Film, Television, and Media at UClan, teaching Science Fiction, Critical Approaches to Film, and Popular Television.